With the sudden news of my husband's new job and our lightning fast move to Arkansas this month, I think it's safe to say this is going to be a holiday season like no other! However, I am hoping to have the kitchen unpacked for Thanksgiving, and Lynzie and I are looking forward to checking out NW Arkansas' Black Friday deals! Every holiday season, I'm reminded of the story of Mary and Martha---well, my 21st century version, anyway. While Mary's hanging out with the guests, Martha's slaving it away in the kitchen. While it's nice to cook a great meal and make lots of fun holiday treats, I also really enjoy having something to pop in the oven quick while I spend time with the important people in my life. Nestle frozen foods help make this possible with some delicious family size selections that we all enjoy. This past week, as we've been frantically tying up loose ends and organizing the house, I've taken advantage of some of these party-sized entrees to get a hot meal on the table without having to spend a lot of time in the kitchen. I bought Stouffer's Party Size Lasagna with Meat & Sauce and Stouffer's Party Size Macaroni & Cheese. We'd never tried either of these varieties before and were super impressed. Paired with a couple of sides, the lasagna was hearty and filling, and the macaroni & cheese was an excellent base for a newly-developed recipe. 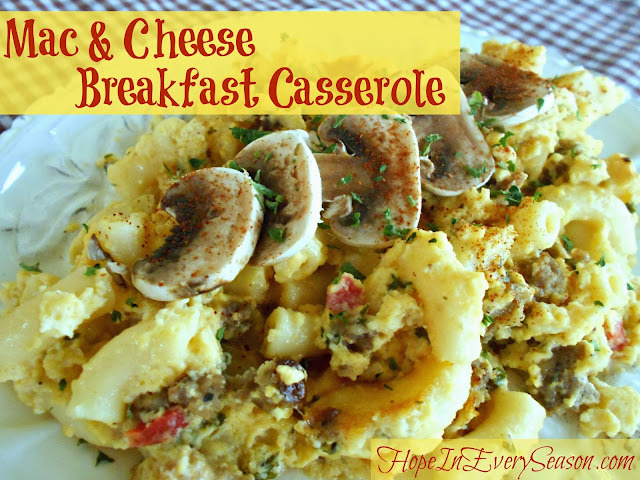 I featured this Mac & Cheese Breakfast Casserole earlier this week---check it out. 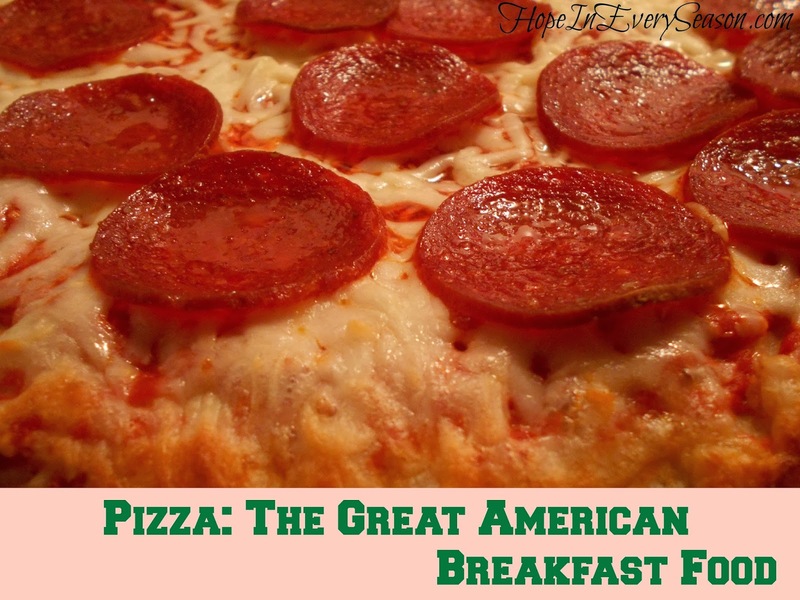 My kids really enjoyed it and the recipe made a lot. I'm planning on making it again for a holiday morning breakfast. It's an excellent choice for feeding a large crowd and much of it can be prepared the night before. As for the lasagna, I served that with veggies and my garlic cheese bread. It was one of those meals that warms you up from the inside. The sauce was flavorful---and there was lots of it! My cheese bread is super simple to make. Just roll your bread dough into a rectangle (if you're using refrigerated dough, slice the roll down the middle but not clear through, spread it open, and roll out a bit). Then spread fresh garlic, cheese, and herbs (basil, oregano, whatever) all over it. Roll it back up and bake according to directions with the seam side down. When it's done, slice it up and enjoy! One of the most wonderful gifts to man, in our opinion, is pizza! There are times when nothing will do but a hot, cheesy, saucy, yummy pizza. We usually buy three Digiorno Rising Crust pizzas and serve them with salad. I think I probably serve pizza to guests more than any other meal. It's almost expected that when there are extra family members or friends in the house, pizza is on the menu! Of course, my husband often ends up taking any leftovers to work the next day---sometimes as his breakfast! Is there a treat more wonderful than ice cream? It's debatable. I remember having ice cream together as a family when I was growing up. My parents would wait for it to go on sale and then they'd go buy several flavors. My Dad always wanted Maple Walnut, my Mom liked Butter Pecan, and my favorite was Mint Chocolate Chip. Did you know that Dreyer's has a couple of new flavors out for the holidays? I absolutely love the Peppermint Wonderland, and Jamie is looking forward to trying A Very Merry Eggnog when it hits Walmart this week. Just typing out their names makes me feel festive! I like to make my own hard shell topping to drizzle on top. Just melt down some chocolate or butterscotch chips and stir in some shortening. 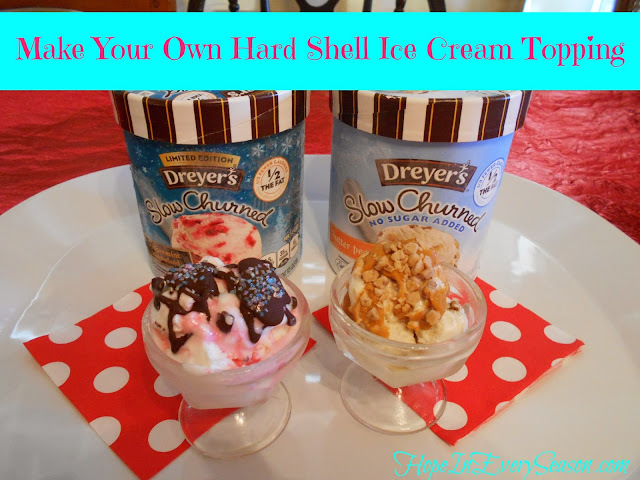 Once it's all melted, pour on top of your ice cream and it will instantly begin hardening! Planning ahead for the holidays can make a huge difference in how much you and your family enjoy this short and special time. I hope each one of you has a relaxing and joy-filled holiday season! I can't wait for you to move this way!! Thanks for all the quick and easy ideas. I hope your holiday in your new home is wonderful! Those Stouffer's casseroles are great when they're on sale. All you need is a salad and voila! Peppermint Wonderland and A Very Merry Eggnog are now two of my favorite ice cream flavors and I just love that idea of the hard shell toppings! I will be making these soon. Thanks! I'd never think of making a breakfast casserole using mac 'n' cheese as the base. Looks delicious, though!